7.00pm in Broughton Parish Church. 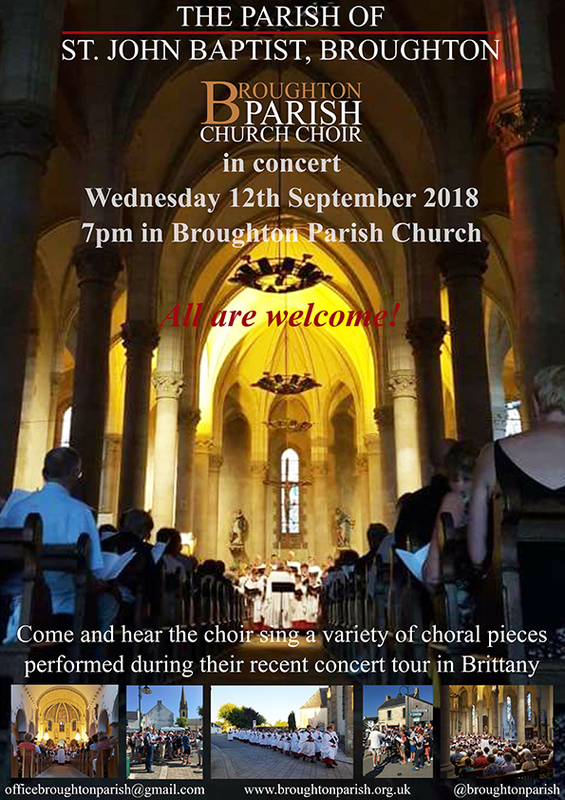 Come and hear the choir sing a variety of choral pieces performed during their recent concert tour in Brittany. Everyone’s Welcome!